Working closely with our very experienced team of professional kennel service team we have built some of the most cutting edge commercial dog kennels in the last 10 years. 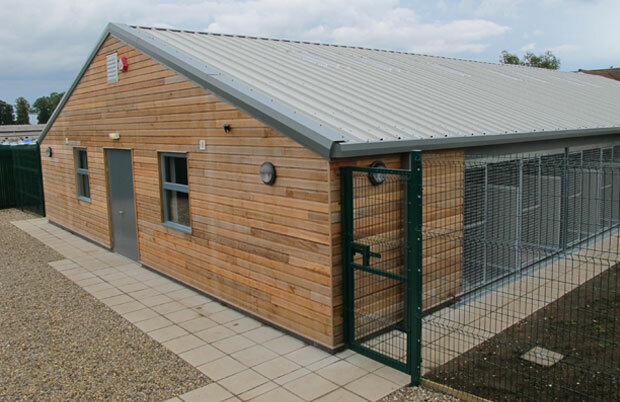 During this time we have designed and installed some of the countries leading kennels, building up an impressive portfolio of many different styles and sizes of profession kennels. 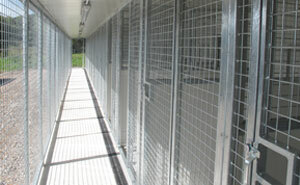 Whilst we generally come to your site and offer a full turnkey solution from design to manufacture and installation of your kennel, we can also offer a supply only solution. Our portfolio of dog kennel installations has steadily grown over the last few years and we now have many satisfied customers throughout the country. 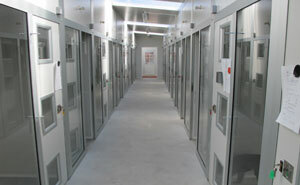 This is excellent news if you are considering a new build kennel or maybe a possible refurbishment of an existing premises as we can arrange for you to see the quality and benefits of our unique kennel system at close hand. Our experience in the kennel field means that we can show you different variations on the three main types of kennel systems available: Central Corridor Kennels, Single Row Corridor Kennels and Quarantine Kennels.